Transform into a bewitching mermaid this Halloween and put your guests under a spell by throwing a mermaid-themed Halloween party, complete with ghostly sea décor and sinister ocean-themed treats. 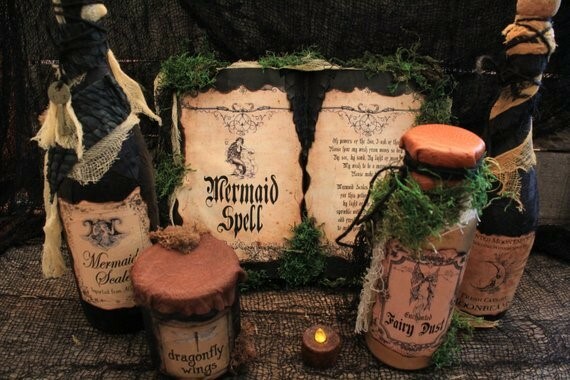 Create an unforgettable tablescape with this Mermaid Décor Set by Haunted Moon Emporium that combines the magic of mermaids (and some of their winged friends) with the mystic look of vintage bottles to conjure up a little mermaid magic. Looking to elevate your Halloween décor with something elegant? Nothing says Halloween like the soft glow of candlelight that allows the creatures of the dark to stay hidden in plain sight! 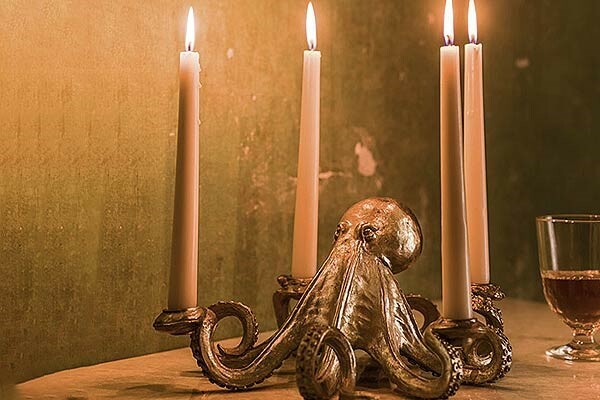 The curly tentacles of this golden octopus combine just the right touches of nautical and frightful ambiance. This unique candelabra is an unforgettable addition to your next dinner party. 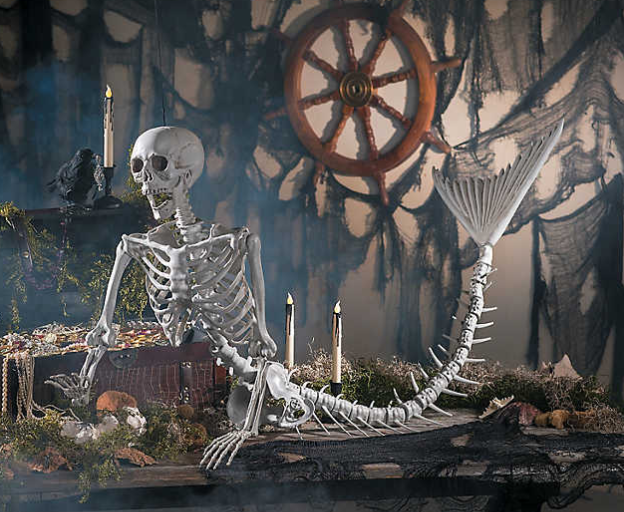 Bring your mermaid obsession to life by inviting a special departed guest to your Halloween party…a full-size mermaid skeleton! 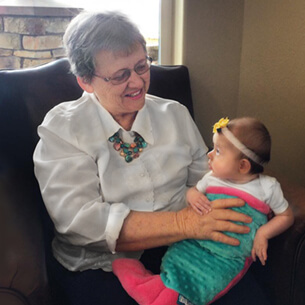 This 73” mermaid makes a show-stopping décor piece! 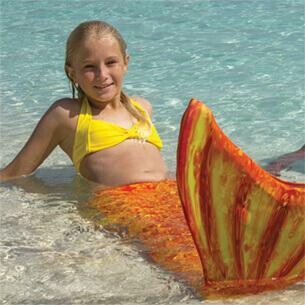 Decorate a buffet table or porch—even surprise your guests by having this sea siren lounge poolside! Complete your enviable mermaid soiree with a parting gift that will remind attendees you’re always a mermaid! 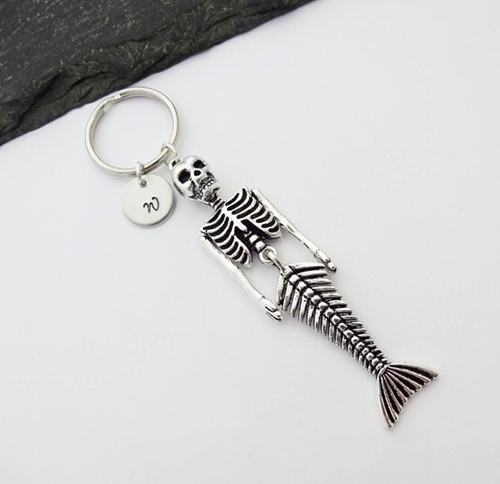 This creepy mermaid skeleton keychain is truly charming and captures the essence of your refined (but thrilling!) bash. Place these bony trinkets in a bowl by the door and bid your guests farewell in style. 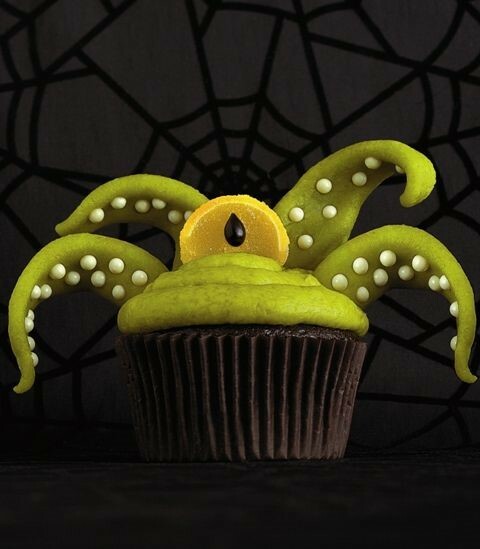 Give your guests a real taste of fear with this Sea Monster Cupcake, featuring a ghastly green frosting and marzipan tentacles to delight your palate. Change the colors to suit your party’s theme, if necessary, and don’t forget to keep the cupcake liners as black as the darkest parts of the ocean. Offset the sweetness of the cupcake with a savory treat bursting with flavor that bites back! 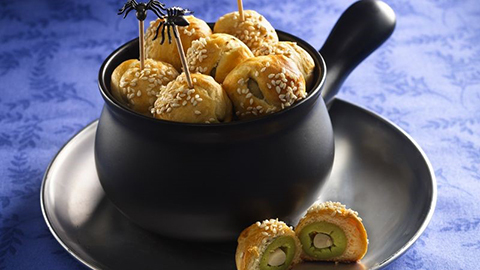 Check out Pillsbury’s recipe for snappy garlic bites that combine flaky croissant dough and garlic-stuffed olives to create a bold but satisfying appetizer. Don’t love garlic? Substitute an olive stuffed with jalapeno or blue cheese in place of one with garlic. 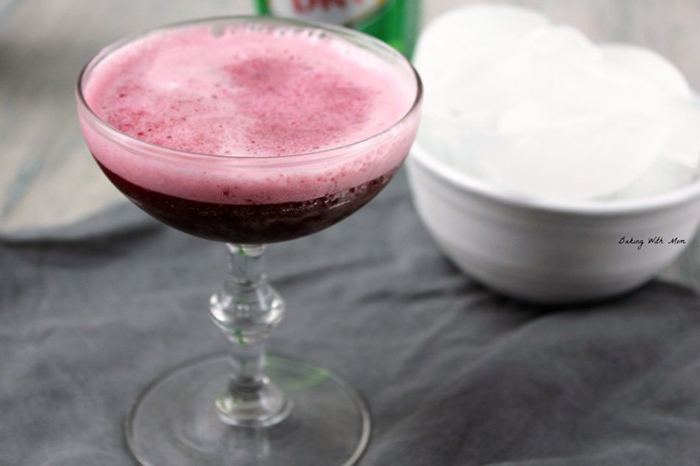 Perfect for a child or adult Halloween party, the Grape Black Cherry Fizz drink is a spectacular, bubbling drink that combines three simple (but unexpected!) ingredients. Serve in your finest glasses for an elegant look, or single-serve champagne flutes for easy clean-up. What’s your Halloween party style? From delightfully dark décor to silly spooky fun, we’d love to hear all about your boo-tiful bash or any other festive frights you may have enjoyed from our blog post. Leave your thoughts in the comments below!